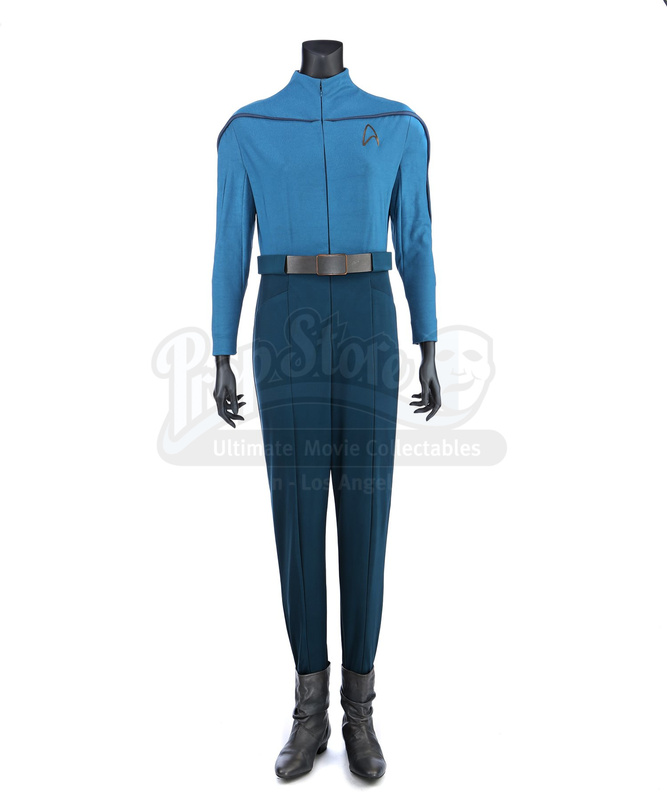 A women's Kelvin command uniform from Star Trek. 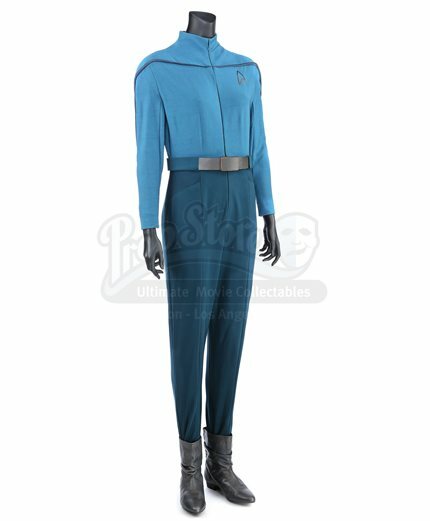 Crewmen wore their uniforms on the USS Kelvin when they were attacked by the Narada, a Romulan ship that brought about an alternate reality. 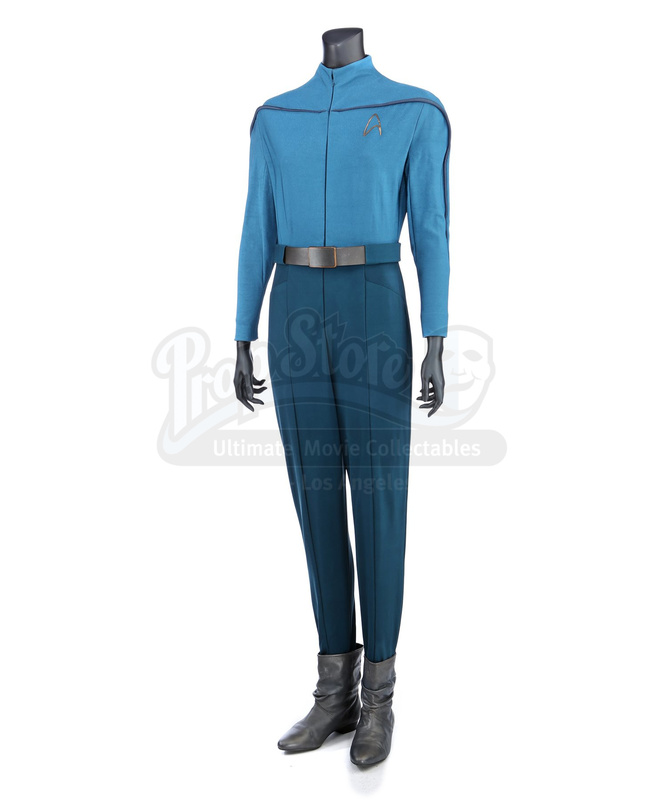 The uniform includes a custom-made Spandex Starfleet jumpsuit (approximate size medium) and a pair of women's leather boots (U.S. 7.5). The Spandex jumpsuit has a zip front and features piping from the chest to the wrists and a built-in leather belt. 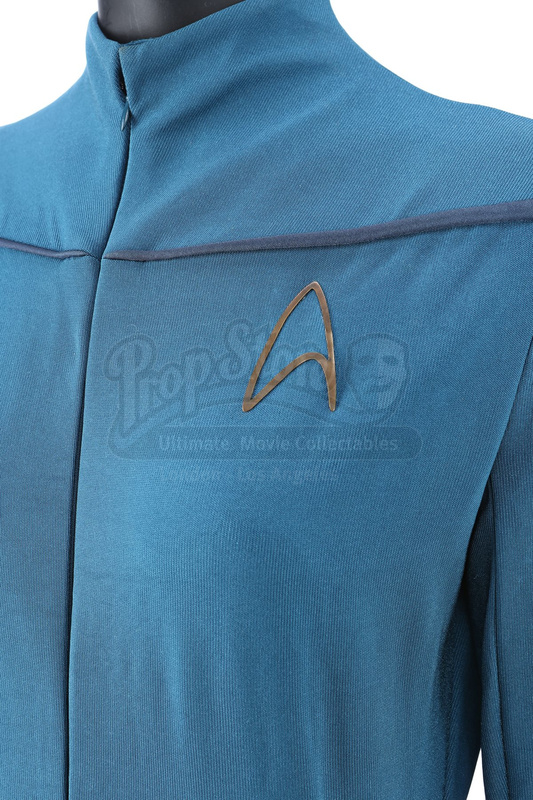 Glued to the left breast is a metal Starfleet insignia. The black boots are made of real leather and have rubber soles. 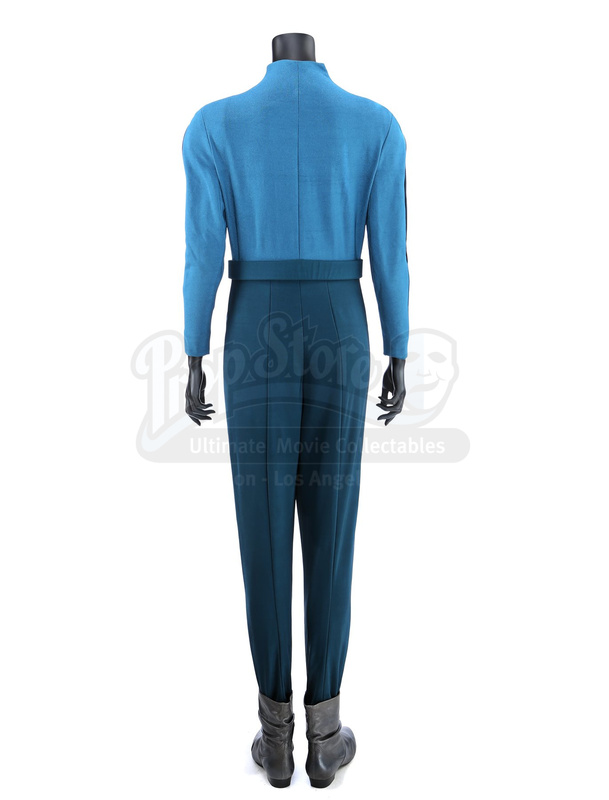 Stitched inside the jumpsuit is a wardrobe label for the stunt actor. 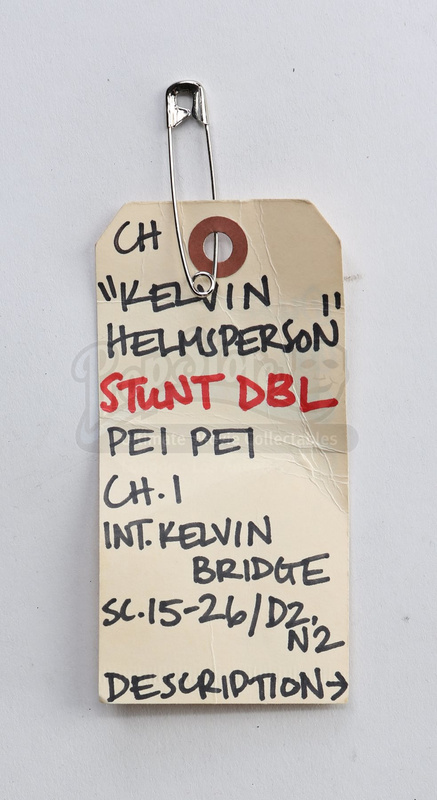 Also included is a wardrobe tag with hand-written notes about the costume.